Zbigniew 'Saberman' Zielinski has again contacted us with more great retro gaming info, as he has told us KK has made available his action platformer 'Druidarium' for the Atari XL/XE. 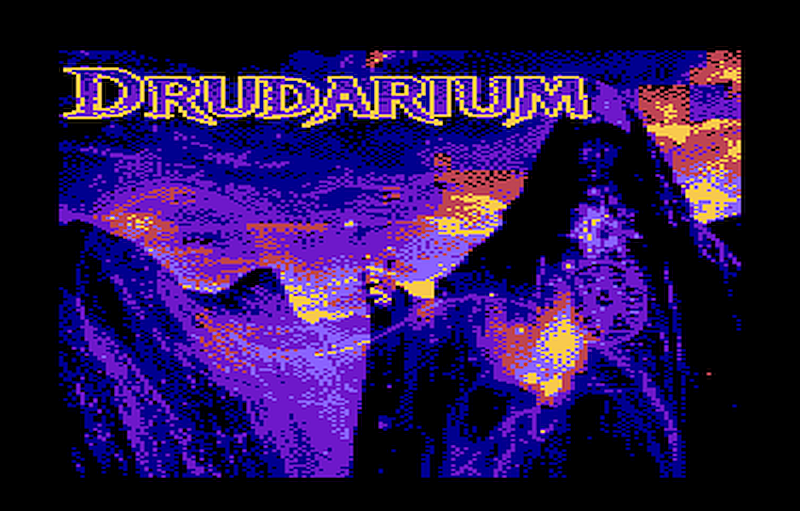 This game which came 2nd in the Silly Venture 2018 Atari XL/XE Game competition, puts you in control of a Druid who has woken up with a start to a once peaceful land now full of menacing bats, evil skeletons, and creepy ghosts and wraiths. It's down to you to find the scrolls and orbs, and bring back peace to the land now overtaken by evil. For those of you who want a fun game with smooth scrolling, plenty of action, and challenges to be found, then Druidarium is just the game for you. But do be aware we have been told this game is still at a work in progress stage as although such things as NTSC was supported, the code wasn't optimized enough before the Silly Venture deadline.